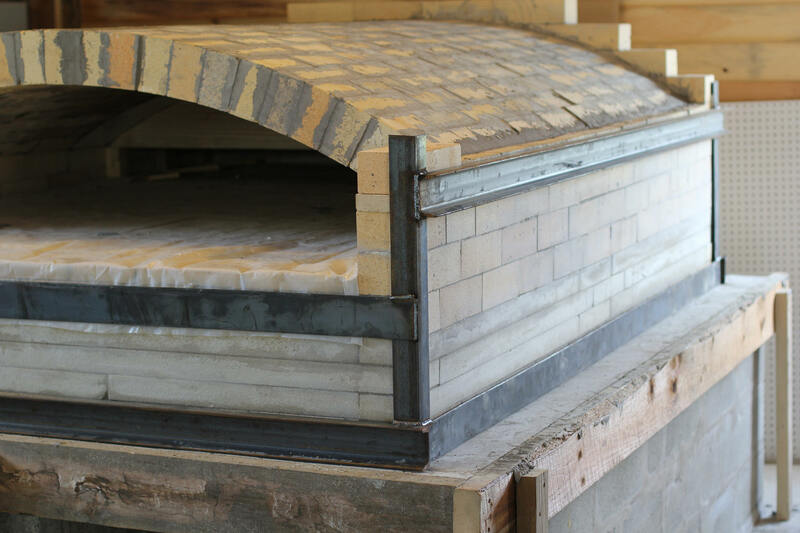 Help Us Fire Up A Wood-Fired Bread Oven! We are Dan & Kimmy Rivera and we are bringing an old farm back to life in Willsboro with good bread. We are Hudson Valley natives and first generation farmers who were lucky to find prime agricultural land in the Champlain Valley. We bought the Baker Farm in 2014 and have been working hard to restore the farm back to its former glory ever since. Restoring anything usually involves lots of money, so our way to restore the farm and have incomes ourselves was through a passion of ours, baking bread, something we had studied and practiced for years prior. In our baker trainings, we had always baked breads in wood-fired ovens and had to have one if we were to start our business. The wood-fired bread oven was completed but we ran into an issue where we could not use the existing chimney and instead would have to put in a new one. With summer farmers markets fast approaching, we decided to start baking using a Blodgett commercial convection oven that we bought from friends who used to own an apple farm in Plattsburgh. 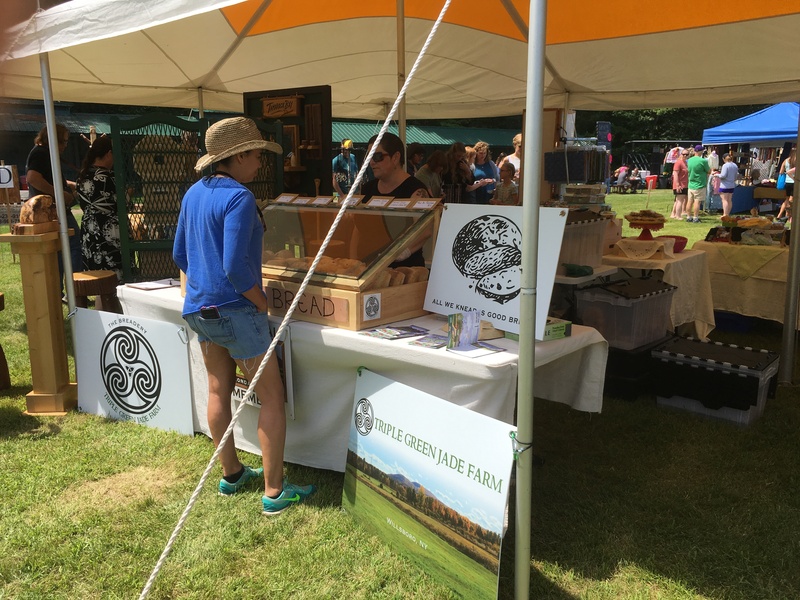 Coupled with an awesome supplier of organic flours from Champlain Valley Milling, we started our business and sold our breads and crackers at Adirondack Farmer’s Markets to wonderful folks. The support and response has been fantastic and this first year gave us the confidence to now continue into wholesale opportunities. Now, in order to scale up and increase our baking efficiency with that large wood-fired hearth, we need to get a new chimney purchased and installed to “fire up” the Bread Oven. And we are looking to “fire up” the bread oven with your help! Stainless Steel Insulated Chimney Parts and Supplies: $1,500.00. Since this will be going through a floor and then the roof, we wanted to budget a little extra on both parts and labor for any unforeseen issues. If there is any money left over, we will put that toward a new parking lot for the Riverside Trail, a Boquet River trail on our farm managed by Champlain Area Trails (CATS). Living in a community of "real bread" enthusiasts who appreciate a hand-crafted, traditionally made loaf of bread with simple, locally-milled ingredients, you are helping us fund the way toward future farm operations and barn restoration efforts. If you can help us make this goal of “firing up the wood-fired oven” a reality, it would go a long way in boosting our small nascent farm business into the realm of financial stability and ensure the prospects for future endeavours. Wow, doing so well on the first day. Thanks so much everyone! This is awesome. We're getting very close now to the finish line. Thanks so much to those who have backed thus far. We are going to do everything possible to take care of all your bread "kneads" this season once the bread oven is all fired-up! Woo Hoo, so happy to make our goal. This is awesome and a new chimney will be on it's way soon. THANKS! Wood-fired Pizza Party at our Farm w/ homemade wine, beer and lotsa farm fresh toppings and side dishes. For an autumn harvest time-frame TBD. For 4-6 people.